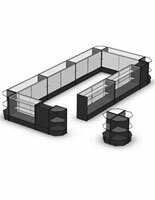 Economy Modular display cases are retail fixtures that give flexibility to a center aisle mall vendor or a large department store. 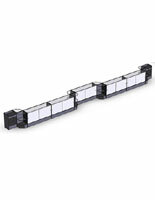 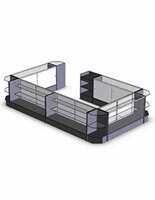 The configuration shown above is relatively compact, yet allows a retailer to display a large quantity of merchandise. 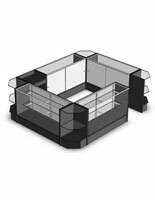 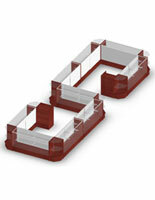 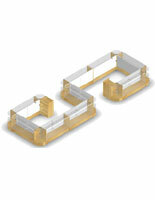 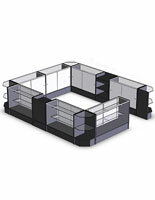 This set of modular display cases includes two register stands, eight corners and nine 72"w showcases. 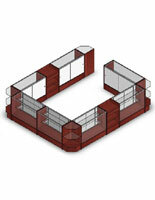 Please note: Our Economy series are manufactured with a low-pressure laminate, called melamine. 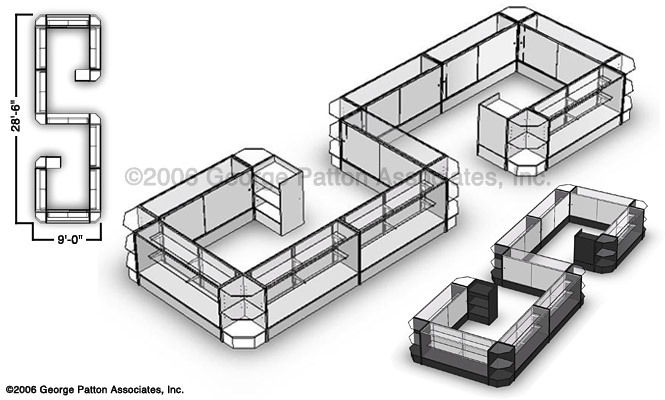 This is a lesser grade of laminate than Formica™ type laminates used on kitchen counters and is more susceptible to knicks, dings and scratches than our deluxe series.